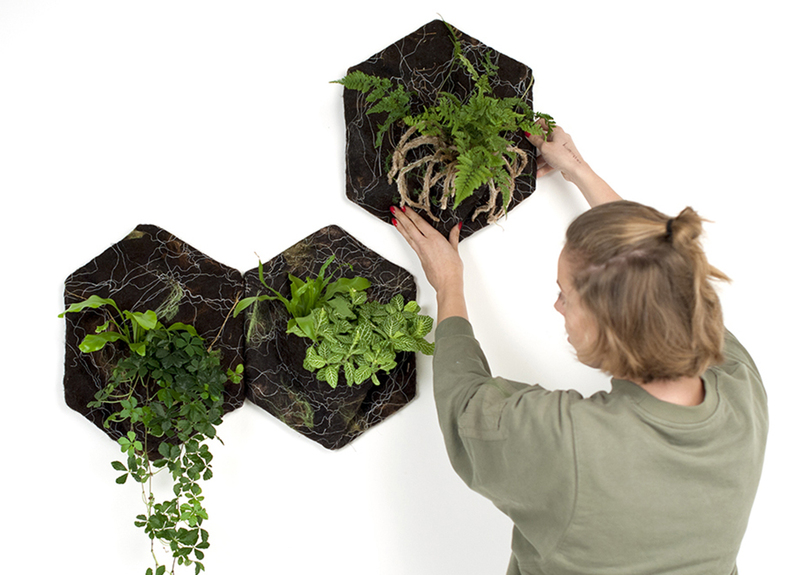 Product designer Carolijn Slottje looks at how nature designs itself. 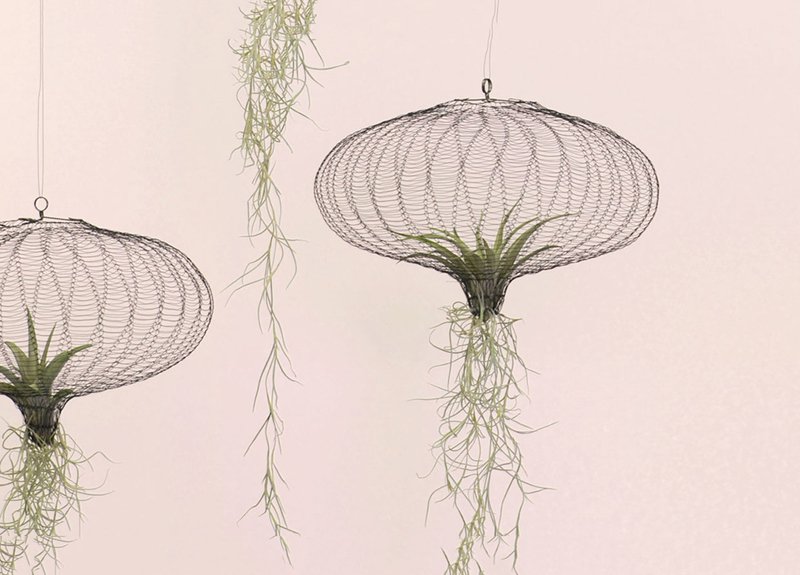 She uses the same rules and design language by combining handicraft with nature. With the special edition of the Quilt Garden, Slottje brings the nature around the stone courtyard of the Palazzo Francesco Turati in Milan to life. This year the covered arcades around the courtyard of the palace resemble a tropical jungle. The lush green Quilt Garden, which graces the Dutch pavilion Masterly, consists of a room divider on which hand-quilted fabrics of organic material are arranged in hexagonal shapes. Together these carriers of nature that exactly mimic the earth and the roots, form a wall in a pattern resembling a honeycomb. They are equipped with fresh green plants and embroidered insects such as beetles and aphids. People from a sheltered workshop in East Groningen, a few students and two employees of Slottje’s studio, carefully manufacture this felted material. This way everyone makes some money. No fabric is the same because everyone leaves their own mark on the piece of work. 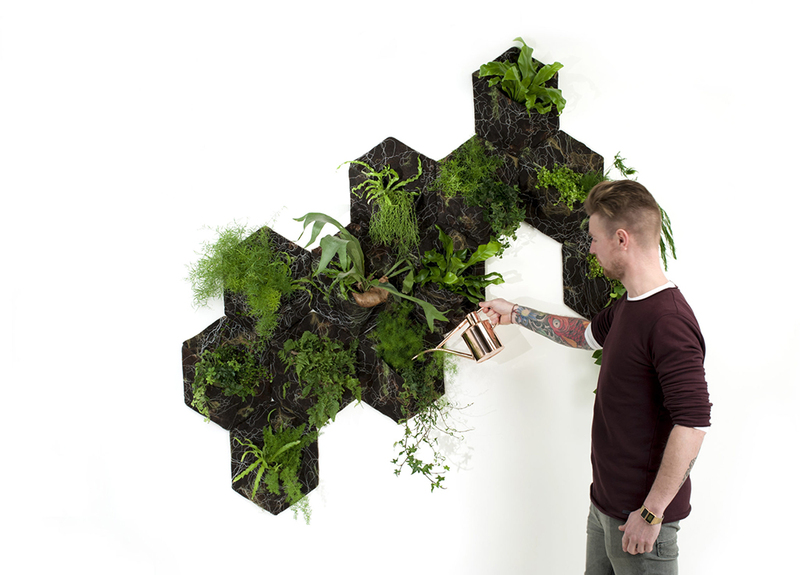 ‘After all, nature does not come from the assembly line or a 3D printer either,’ says Slottje. ‘People sometimes forget that they themselves are part of nature, that they feel happy there, but they spend most of their time indoors, says Slottje. ‘Their laziness is fed by ‘ontzorgende’ maintenance contracts for plants that only need to be watered or dusted once a year. The Green Walls in plastic bins that you can place at home or in the office only present something by the time the vegetation is very luxuriant.’ So what is her ambition? The designer wants to bring nature closer to people by showing how special and poetic nature can manifest itself in our lives. 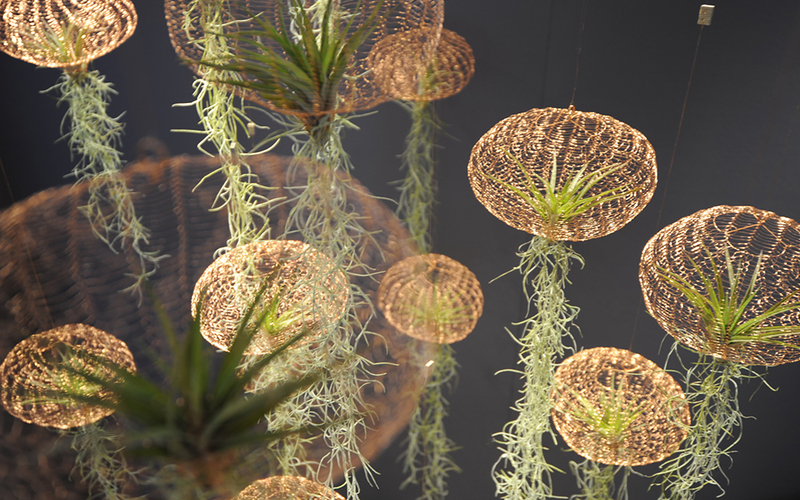 Take for example her still immensely popular Air plants that continue to spread across Germany, France, Denmark and further across the world. 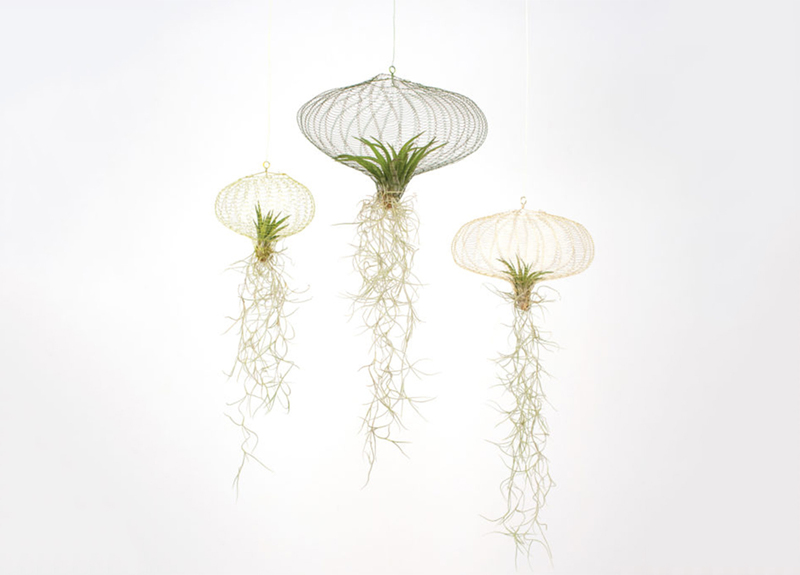 The plants resembling refined hanging jellyfish do not need soil. 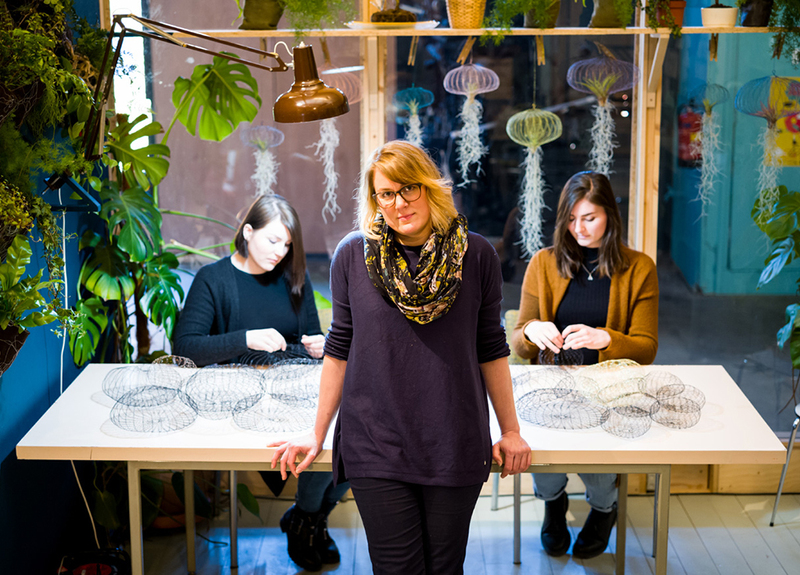 Outside they extract water from the humidity in the air and rely on other plants to grow, in house you occasionally spray them with water and hang them in oval openwork structures, which are knitted by hand by a fair trade workshop in Sarajevo. She already manages that very well. Slottje therefore thinks that awareness is growing, and people are bored with the impersonal Ikea house. ‘It is convenient in use, but we have no connection with it. The need for an interior that says something about our character increases. Logically we want to collect plants around us that restore contact with nature and with which we have a special and lasting bond. 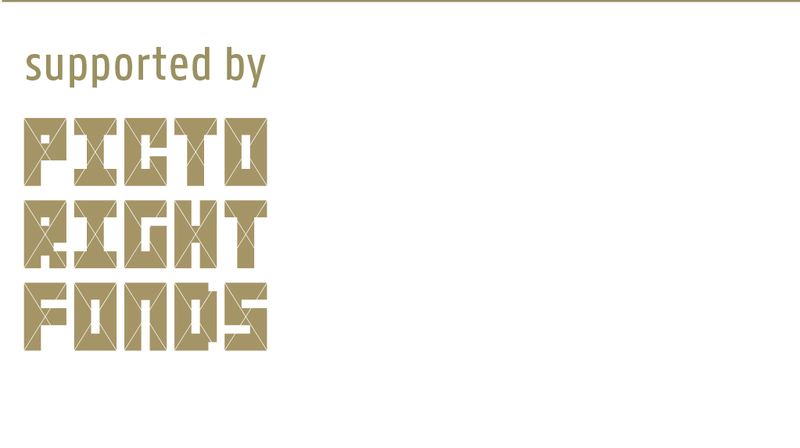 In this way my work is much broader than just developing a new product,’ says Slottje.